Theres nothing quite as useful this winter than a nice warm scarf in the winter months. 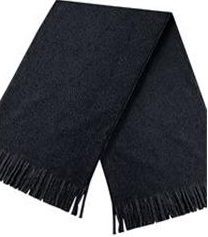 How about you own Scarf with Logo to ensure total promotion and exposure of your company brand name and logo to make sure you get more business in the future? How about having these wonderful promotional supra-fleece™ scarfs making an impact as a positive good-will gesture for your customers. What a lovely company gift or freebie for a customer or client? Make a bold impact this winter - have your company name recognised. Its hard to believe this but the scarf - originally came from Ancient Rome, as a method as a sweat cloth. Eventually women started to wear these and they became fashionable, and as a method to keep warm. Perfect around your customers neck this winter, lets keep them warm and rely on future business from them also. For a FREE QUOTE please fill in our contact form regarding our Scarf with Logo and we'll be able to help you.